After serving the community for 20+ years in the Fire Service, Tony “Mammoni” Stagno decided to pursue his passion for golf. He has taken his “no gimmick, let the facts speak for themselves” approach into clubfitting and believes each fitting is an opportunity to educate the customer as well as giving them the best set possible for their needs. 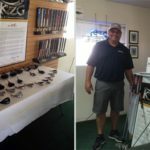 Tony has turned down “repair man” offers from the more prestigious country clubs because he believes the quality and control of KZG products is higher than the commercialized products sold off the rack. He has attended the KZG Clubfitting School, achieving the KZG Master ClubFitter certification and has been rated one of the World’s Top 100 ClubFitters for the last three years (2016-2018). Tony is also a member of the International Professional Association of Clubfitters (IPAC), comprised of leaders in the field of custom fitting. Located at Santa Fe Golf Range in the heart of the Central Valley, all fittings are done outside at the covered range, allowing Tony to see actual ball flight. Mammoni Golf has a wide selection of KZG demo heads and shafts to meet anyone’s needs. 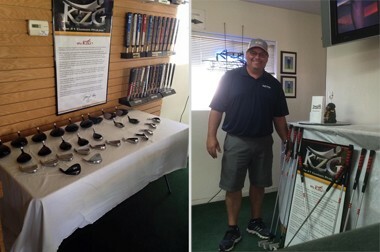 From junior beginners to avid golfers, Tony will fit you with the best KZG clubs for your game. With two left-handed kids of his own, Mammoni also offers a great selection of lefty demos. If you’re looking for a club fitting that’s as professional as it is fun, see Tony at Mammoni Golf and start playing the KZG clubs your game deserves!